The Snap Circuits STEM set is a great way for kids to get started with Science, Technology, Engineering and Mathematics. 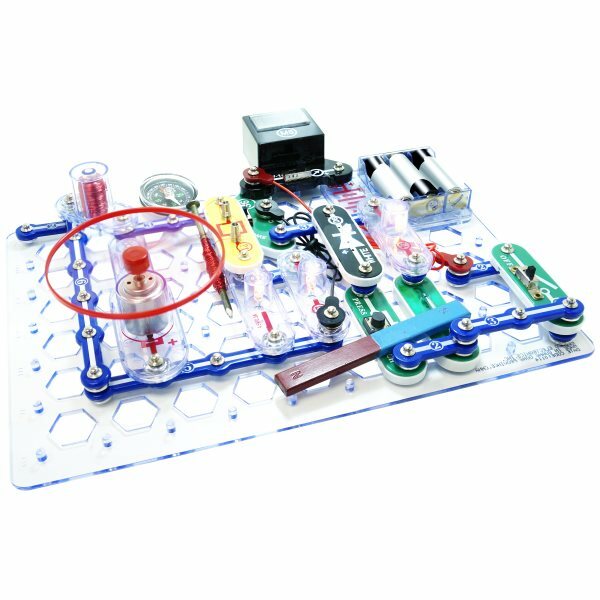 The Snap Circuits STEM set provides more than 85 projects dealing with electricity and magnetism. It includes more than 45 parts such as electromagnets, motor, lamps, switches, meter, compass and LED. A comprehensive manual provides projects and theory in a format sure to inspire. 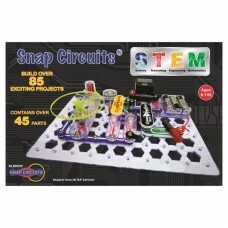 Snap Circuits use electronic components that snap together to create various circuits. Each component is clearly labeled and uniquely colored for easy identification. Children of all ages can enjoy learning about technology while building a number of fun projects. Give your young engineer a head start with Snap Circuits. Recommended for ages 8 and up. Requires three AA batteries.